Our HIGHLY INDIVIDUALIZED services include therapy, evaluation, consultation, mentoring, training and Fragile X service. Developmental FX provides individualized, transformative pediatric clinical services worldwide. Our team is highly skilled in working with families with complex neurodevelopmental needs. Our therapists provide insightful care for all of our families, from those who need support in acquiring skills such as sound articulation, handwriting abilities, or social skills, to children who may have more significant needs including those affected by rare genetic conditions. For all of our families, we adopt an evidence informed philosophy of treatment. 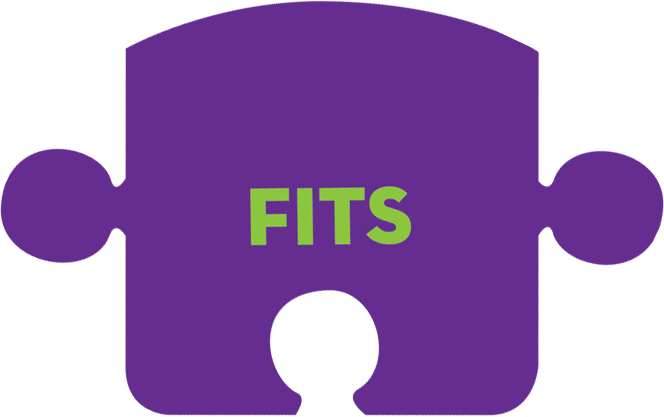 “Therapy that Fits” describes our philosophy – every child is met exactly where they are and supported to make progress in a manner that matches their needs and strengths. Unlike many clinics, we do not follow a formulary or adhere to a narrow model of intervention. We set the standard of care and provide highly individualized intervention, specific to each child or adult we treat. Ongoing progress monitoring, collaboration, and communication are a part of our professional care for families receiving therapy. At DFX, we take a holistic approach to evaluation and treatment. By assessing each child’s developmental levels and individual differences, underlying challenges can be better understood and the difficulties that a child is experiencing can be resolved more quickly and more fully. We aim to improve collaboration between all professionals relevant to the child, and work in partnership with families. 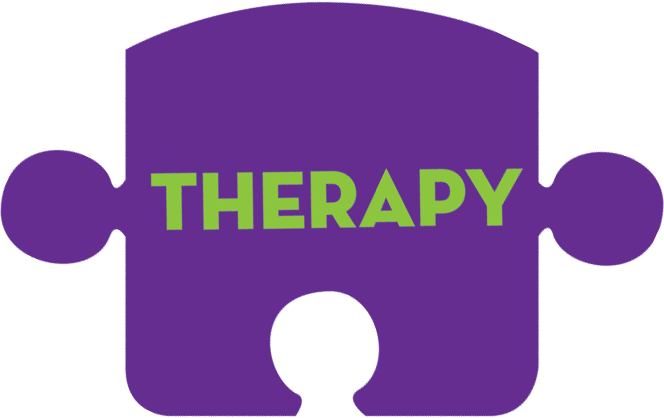 Dedicated to providing the best pediatric therapy services within an atmosphere of empathy and expertise. We accept all children as they are. Families play such an important part in making the DFX therapy process successful. Parents are always encouraged to observe therapies and ask questions, and are integral in establishing goals for their child. Our therapies are based on individual needs, and you’ll find no two children with the exact same treatment plan. At DFX, you, as a family, are part of the DFX team. We will support you as you learn about your child’s strengths and needs and provide resources and advocacy in a caring, professional manner. DFX provides Occupational and Speech/language therapy as well as counseling services with our psychologist. Services are typically provided through individual sessions, however, co-treatments may be provided, with multiple disciplines pairing during a treatment session. These Co-Treats often benefit children identified for this model of intervention. The primary goal of occupational therapy is to enable people to participate in the activities of everyday life. Occupational therapists use occupations (the activities that occupy our time) both as a therapeutic tool and a goal of therapy. The occupations that are typically targeted for children include their roles as daughter or son, brother or sister, student, player, or self-maintainer (feeding, dressing, toileting and hygiene activities), with occupational therapists assisting them to become more independent in these areas. Occupational therapy assessment and treatment sessions are specifically designed to meet the needs of each individual child and family. 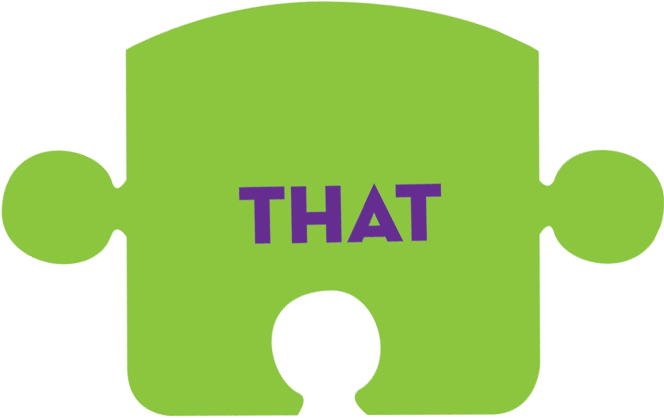 At DFX, occupational therapists will use a variety of philosophies and techniques which may include Sensory Integration Theory and DIR®/Floortime™ techniques. We pride ourselves on having one of the best equipped therapy spaces in the region, incorporating a range of resources including a 15 foot trampoline, 20 feet suspension length ropes for enhanced vestibular input, dozens of options for swinging as well as varied height surfaces, ramps and a ball pit. Our therapies cover the full range of communication skills which include both the use and understanding of language, higher level language such as non-literal language, and social communication skills, such as perspective taking. Speech sound production can also be addressed in the context of overall motor planning and oral motor development. Close consideration of your child’s needs will determine the nature of therapy. This may look like quiet work at a table, active play in the sensory gym, and collaboration or co-treatment with an occupational therapist. is provided for families and children by our psychologist. Counseling focuses on helping parents learn effective ways to cope with their children’s behavioral issues, anxiety, mood, and other issues they may need assistance with. Counseling can also help children learn ways to identify and express their feelings, cope with upsetting events, and establish and maintain positive relationships with others. Developmental FX provides comprehensive evaluations which result in thorough recommendations, an individualized treatment plan and referrals to appropriate resources. DFX provides families with an integrated view of their child and a clear path forward. We can provide a full team assessment involving speech, occupational therapy, and psychology, or, any one or combination of these. We carefully craft an evaluation team based on the referring questions. Our team approach is unique and critical for the assessment of neurodevelopmental disorders or when learning, developmental, and behavioral questions arise. Thoughtful case conferences with families complete the assessment process, where the information is shared and priorities and recommendations established. This also sets the tone for ongoing dialogue with families, something we value highly at DFX. To start the intake process, please call us at 303.333.8360. • Occupational Therapy Evaluations will give you information about your child’s sensory processing and motor needs, and more in-depth information such as fine motor/handwriting skills, oral motor or feeding skills, listening, or visual-vestibular integration. • Speech and Language Evaluations will provide families with information about communication skills, and can include evaluation of oral motor skills and social communication in addition to all aspects of receptive and expressive language and speech sound production. • Psychology Evaluations provide a complete picture of you or your child’s cognitive, social, emotional, learning, developmental, attentional, and executive functioning needs. Our team also provides particular expertise in assessing individuals who may present with an autism spectrum concern. Multidisciplinary Team Evaluations are often needed to help to gain the most comprehensive information about individuals and to create an integrated intervention plan. During our intake process, our team will help to determine if a team evaluation is required. The team may include any combination of OT, SLP, PT and Psychology providers. A Multidisciplinary Evaluation may require one to two full days of direct testing time, may include a home or school visit, and then involves team meetings for interpretation and coordination of findings. Site visits to home, school and community programs. Consults can be arranged at your home, school or workplace. Developmental FX is recognized by the National Fragile X Foundation as a part of the Colorado Fragile X Clinic. The Clinic Coordinator and Medical Director (Dr. Nicole Tartaglia) for the Colorado Fragile X Clinic are housed at Children’s Hospital Colorado. Tracy is a member of the National Fragile X Foundation’s Clinical and Research Consortium and is a regular contributor of written materials and resources to the NFXF. Our co-founders, Tracy and Mouse, have specialized in the field of Fragile X Syndrome (FXS) for over 20 years and have provided expert consultations and trainings to families and schools locally, nationally and internationally. With Mouse’s retirement in 2018, Ruth Meissner, speech language pathologist, was added to the Developmental FX Fragile X Team. Ruth has worked at DFX for over 10 years and has been mentored by Tracy and Mouse in Fragile X Syndrome. She joins Tracy as part of our DFX FX Team with experience in consultations and trainings. Tracy and Ruth continue to provide expert consultation to proactive families and schools to advance diagnostically specific intervention for individuals affected by FXS. Tracy and Ruth are available to speak to audiences nationally and internationally, in University and community settings, about FXS. Let our master clinicians, Tracy and Ruth, travel to your location in order to offer their expertise in a model that allows access to several families in a mini-clinic setting over a one, or multi – day time period. Consultation Clinics can easily be arranged in your city for up to nine families over a three day period of time. Many of The National Fragile X Foundation’s Community Support Networks have organized these in past locations as Louisiana, Pennsylvania, Virginia, and internationally in Argentina, Brazil, Taiwan, Spain and Ireland. For more information about Fragile X Syndrome, please visit the National Fragile X Foundation’s site. Developmental FX offers a flexible and adaptive mentoring program, aimed to support professional colleagues in advancing their clinical reasoning through a reflective mentoring process. Presently, mentoring occurs with Tracy Murnan Stackhouse, MA, OTR. Mentoring can be done individually or in small groups, as mutually agreed upon. Reflective mentoring involves discussion, case review, literature review, video tape review as well as specific information dissemination and instruction and practice in the use of clinical reasoning tools. The overall aim is individually determined, with focused goals and learning methods identified at the start of the mentoring relationship. The aim is to tie underlying neuroscience findings into theory and practice of a sensory integrative and sensory processing intervention in a relationship-based context and including higher order processes, such as self-regulation, social cognition and executive functioning. Many of the clinical reasoning tools are proprietary to Developmental FX and are used to assist deepening understanding of the therapeutic process. Each mentee identifies goals for learning as well as specifies ways that they best learn. Then, a plan is co-constructed and methods to meet the goals selected, including any or all of the following: discussion, case review, literature review, video tape review as well as specific information dissemination, and instruction and practice in the use of clinical reasoning tools. Click HERE to book a mentoring session with Tracy Stackhouse. Developmental FX provides professional and parent training on an ongoing basis. Known for our expertise in Fragile X Syndrome, we offer full day and partial day inservices on a variety of topics related to Fragile X. We are also the authors of the FX MAX – A Matrix Planning process for ensuring best practice intervention for those with FXS. DFX also offers workshops in other areas of expertise including clinical reasoning (The S.T.E.P.S.I. : A clinical reasoning tool for Sensory Modulation Disorders; Praxis the Solvable Equation), and the foundations of creating sensory diets (Sensory Diet Planning: Home and School) and advancing Self-Regulatory Capacities. Please contact us, info@developmentalfx.org, for more information.